Late on Sunday night, Man Kerapu called me to borrow my tackles set as he is going fishing on Monday morning with the rest of the cast. 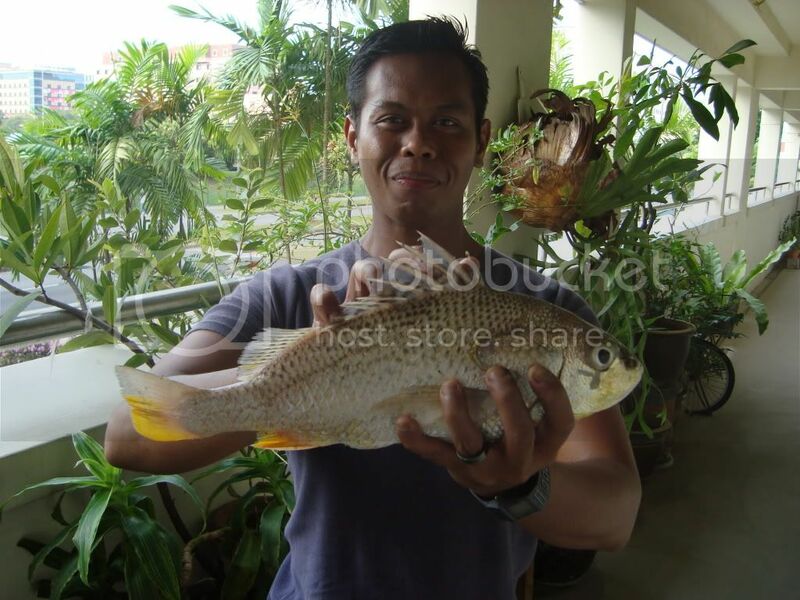 So, I told him to come over to my residence and I will lent him my Penn Powergraph Surf M rod and Daiwa SL30SH reel. 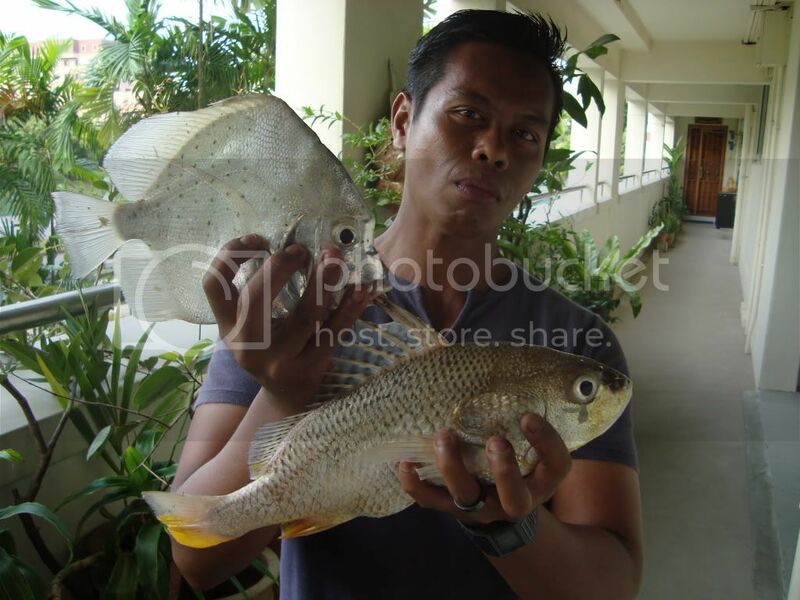 It was only on Monday evening right after I reach home from my driving lesson, he came over to my place to handover the tackles and in goodwill he gave me the fish to get my mum to cook and give it some to him later. 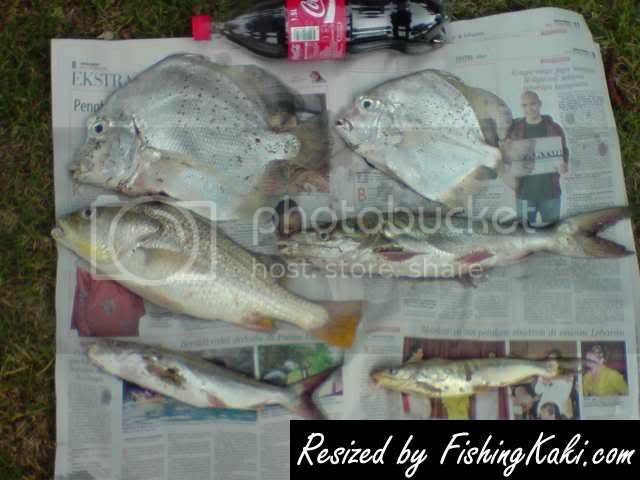 Man Kerapu added that he have brought up an estimated 2kg Ikan Tebal Pipi, 1kg Tudung Periuk & a small Duri (Marine Catfish). 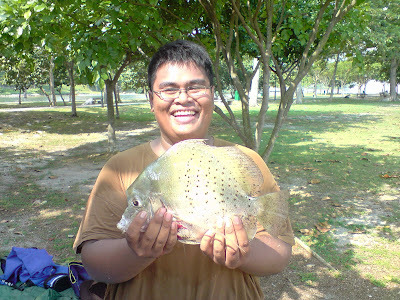 Saleh brought up the biggest Tudung Periuk of the day at 2kg range and one of the DSG brothers brought up a sizeable Duri. Just before he knocked off, I told him to strike some pose so that I will put it into the blog for memories and Catch Report.